In 1984 Canada and the provinces agreed to five principles as part of the Health Act. Originally it was agreed that the budget would be split 50 – 50 (federal funds – provincial funds), but this has since changed with more money being provided by the provincial governments. These five principles, as you will see, are open to interpretation – and actually opened to formal discussion as of December 14th, 2010. The government will control the operation of the health care system on a not-for-profit basis. This depends on the province. For example, in some places physiotherapy is covered. Provinces can also have different criteria for allowing patients into nursing homes. All Canadians have access to health care – 100%. Canadians can move around and still get health care, even out of country. However, if payment is required then the province will adequately reimburse the resident/patient at the rate of the home province, NOT the rate where health care was received. There should be no barriers to health care. The two principles that are most often multi-interpreted are Comprehensiveness and Accessibility. It is imperative that we take a closer look at these. As stated above, the truly comprehensive services that are available for every Canadian citizen are Physician Visits, Hospital Stays and Hospital Dental Services. Let us look at each of these in a little more detail. Physicians are paid on a fee-for-service basis (i.e. they get paid per medical act). These fees are negotiated between the government and the medical association (the act is called Physician Remuneration…and yes, there is a lot of paperwork). For a visit to the General Practitioner (GP) that occurs in his/her office (i.e. the patient is an ‘outpatient’), the fee is $37.00. For a visit that occurs in a hospital (i.e. the patient is an ‘inpatient’), the fee is $17.00. This difference exists to help physicians cover the overhead costs of running an office. Keep in mind that being ‘seen’ by a doctor could involve a five minute conversation or a simple sweep of your chart and vitals. Hospitals are expensive. They involve the costs of personnel, pharmaceuticals, food, building expenses, etc. It is averaged that a single day at the hospital costs $1000.00. This is why hospitals are constantly trying to reduce the length of hospital stay required before and after procedures. For example, new mothers without complications are sometimes out the next day. Dentistry in general does not fall under health care (although if we consider cost-effectiveness it really ought to). However, dental services can be part of emergency procedures at which point they would be covered through the Canada Health Act. 12.1.a. In order to satisfy the criterion respecting accessibility, the health care insurance plan of a province must provide for insured health services on uniform terms and conditions and a basis that does not impede or preclude, either directly or indirectly whether by charges made to insured persons or otherwise, reasonable access to those services by insured persons. Or, insured persons (i.e. tax payers) should not have barriers to health care. One barrier is finances, therefore patients should not be met with user fees or administration fees (direct charges) in order to access health care. I know you’re wondering why some services (e.g. Québec walk-in clinics) are allowed to charge money. The answer is simple, you don’t NEED to go to that clinic. There exists a clinic that will not charge you fees (even if it IS the emergency room where you will wait 6 hours to be seen, where your condition will potentially worsen, and which will decrease your economic productivity – sigh). In Québec clinics charge $95.00 a visit. Compare that to the $37.00 physician remuneration I mention above. That is a ‘user fee’ or ‘facility fee’ or ‘service fee’ of $58.00. So, if you have money you can visit a faster user-fee-charging clinic and get back to making money. If not, then either you live with being ill or cram into a free clinic with other sick people and wait – one of the reasons that socio-economic status is an excellent indicator of health. These two speeds, called a two-tiered system, are just the beginning of provincial rule bending in regards to the Canada Health Act. The ambulance (expensive) must travel the same 30 minutes to get to you (20 minutes if they are heavy-footed) and then turn around and go back. Remember that irreparable brain damage occurs after four minutes. Elderly, handicapped or poor patients would see travel as a infringement to the accessibility of their health care. Without a car, gas, a licence and the physical ability, these distances cannot be traversed (especially since there is no local transportation in this area). Ignoring a small health concern will likely lead to it escalating (see option #1). The reality of living in rural and remote areas is that there are fewer health care services. Geographic isolation and problems with access to and shortage of providers and services are multidimensional problems. For instance, poor road quality combined with greater periods spent on the road not only contribute directly to higher incidence of injury, but also compromise access to health services. Moreover, difficult economic circumstances, travelling time to the city and the lack of car ownership can affect access to and demand for health services. According to the WHO (World Health Organization), “Health is a state of complete physical, mental, and social well-being and not merely the absence of disease or infirmity”. In Global Health terms, health has a lot to do with conflict. Today, 90% of deaths in wars are civilians. Conflict used to be confined to inter-state wars (consider the world wars), but increasingly regular are intra-state conflicts (feuds within political boundaries). The United Nations (UN) has always had the mandate to take care of Refugees (those who leave their country’s borders). However, just recently has the UN finally been mandated to take care of Internally Displaced peoples (those who don’t leave their country’s borders). This means that the numbers have increase substantially, considering that Refugees number somewhere around 9 million, while Internally Displaced peoples amount to over 22 million. Also important to consider are the causes of conflicts. Sources of conflict include race, religion and natural disasters. 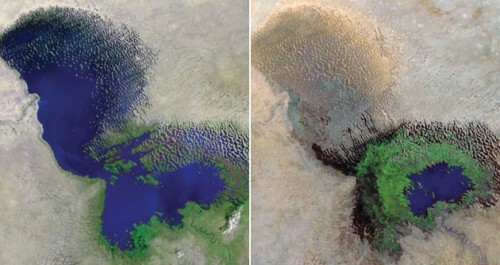 Consider these images of Lake Chad which indicate the physical source of strife that has escalated to the Darfur conflict. 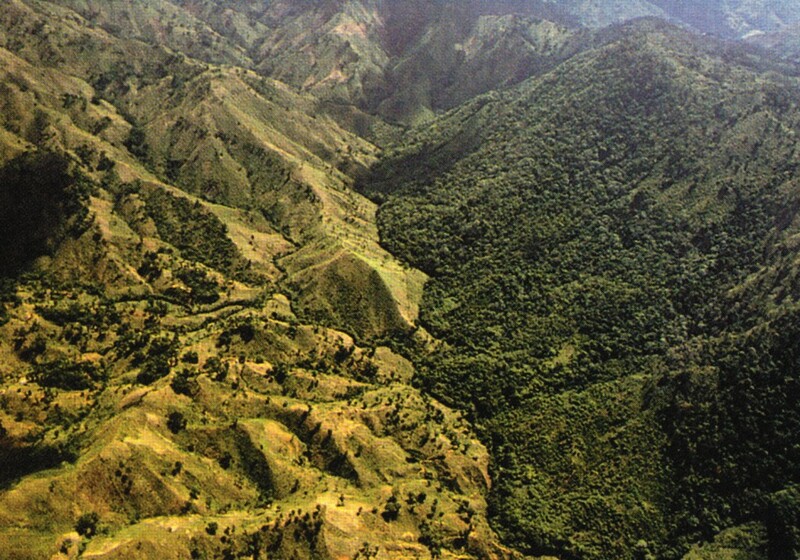 This is the border between Haiti and the Dominican Republic – the raging deforestation in Haiti is extremely evident. The first section was presented by Dr. Kirsten Johnson, MPH. Dr. Tarek Razek is a medical doctor as well as the Director of the McGill Trauma Program. 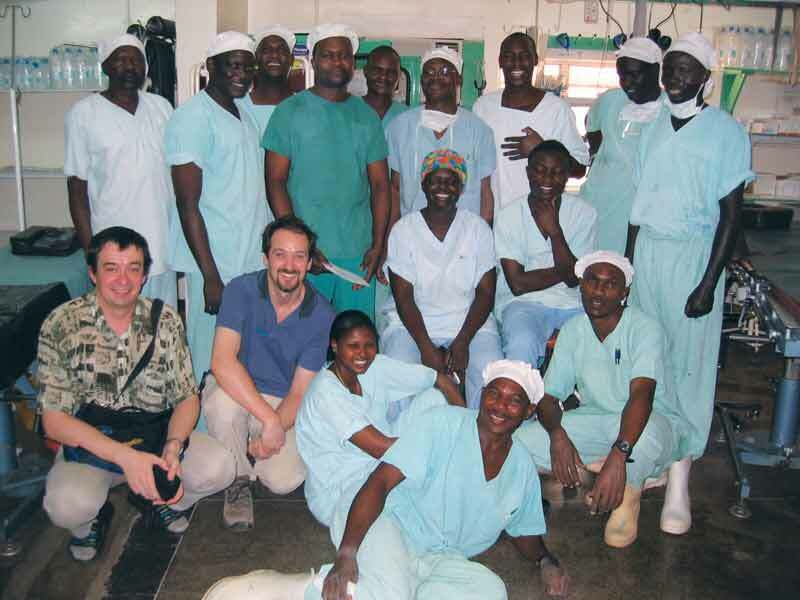 In his spare time, Dr. Razek is a trauma physician with the International Committee of the Red Cross (ICRC) and educator with the Canadian Network for International Surgery (CNIS). Dr. Razek notes that Canada is odd. That we really are rare in terms of our consideration of multiculturalism as normal. This facet of our society leads to Canadians being excellent members of Emergency Response Units (ERUs). This was imperative in the past when Canadians were deployed as part of ERUs of other countries. Just recently Canada has acquired its own Emergency Response Unit (including kits, pharmaceuticals, tents, teams, etc.) which has just been sent to Haiti to help fight an outbreak of cholera. Safety is a continued issue for Dr. Razek, who has a family. The threat of death, injury and kidnapping is real. The position of trauma surgeon in a conflict area is not entered lightly. But Dr. Razek acknowledges that his work is necessary and rewarding. Dr. Razek tells the story of his experience doing surgeries 10 hours a day for 7 days a week. Each of his surgeries required the permission of the patient (or guardian). As such, there needed to be translators present. Because the Red Cross camp was located in an area that was surrounded by multiple tribes it seemed like it would be a challenge to decipher which translator was needed. However, tribal customs differed in an interesting way in that area, so translators were able to lift the shirts of the patients and use the tribal markings on their chests to determine the correct dialect. Trauma is an unrecognized epidemic. It is the leading cause of death, and in 2020 will become the number one cause of years of life loss. Dr. Razek has many stories and pictures to share detailing bullet wounds, bullet wounds, bullet wounds, and landmine injuries. He shares this story. In some areas where landmines are prevalent, parents make the youngest child walk in front of the family. If that child is too light to set off the landmines then the child will be weighted down. Dr. Razek goes on to explain that the father and the mother are necessary entities in the family, without which the family would cease to operate. The older children are also necessary members because their labour abilities help bring in revenue for the entire family. The youngest child is dispensable – not yet offering tangible benefits to the family unit except for through its dispensability. Dr. Razek’s presentation was one that offered insight into global emergency care. And more importantly he offered palpable stories and feelings to a room full of medical personnel who are also interested in working in a global context.